Impressive Pest Control Sunshine Coast provides specialist pest control in Sunshine Coast and its surrounding areas. Throughout many years experience we have dealing with Sunshine Coast pest infestations, we have gained industry leading expertise - giving us the ability to provide residential and commercial customers with exceptional pest control services. We ensure you that our highly trained Local Pest Control Sunshine Coast exterminators are extremely knowledgeable and able to deliver the best possible pest removal services in Sunshine Coast. 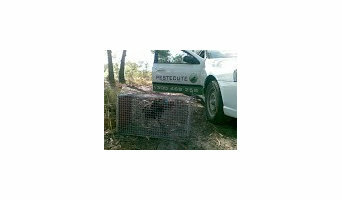 Pestecute has been putting their expertise in pest control on the Sunshine Coast to good use. We have built up extensive knowledge of the lifestyle, habits and vulnerabilities of all types of pests that can affect your home and business. We have also developed unsurpassed technical expertise in dealing with them – from exclusion and detection, to capture, identification and elimination. We are fully licensed, insured and registered. Emergency service is available on weekends. We offer the best services, for pest inspection, pest fumigation, extermination services and scientific suggestions for pest control at the best prices at Fast Pest Control Sunshine Coast. Our Pest Management Program with pre and post-treatment surveys ensure effective treatment and zero reoccurrences. So just don’t wait when the panacea for pest problem is at your doorstep. Place a request, our best in market professional staff will be at your service. Pest Control Sunshine Coast provide 24 hours same day fast pest control services in Sunshine Coast. Call 1800 339 712 to book professional pest controller. We have properly licensed, well trained, and closely supervised professionals as such we guarantee a maximum number of effective services in compliance with strict health management guidelines When you need to treat pests? Before you even see a pest, there are times when you need to call a pest controller. Call us at 1800 033 756 Pest Control Sunshine Coast Pest are always on the move and enjoy warm weather and humidity. They are now found in more places where historically they did not exist. The best way to protect your home from Pest is with an annual Pest inspection. We offer the best services, for pest inspection, pest fumigation, extermination services and scientific suggestions for pest control at the best prices at Fast Pest Control Caloundra. Our Pest Management Program with pre and post-treatment surveys ensure effective treatment and zero reoccurrences. So just don’t wait when the panacea for pest problem is at your doorstep. Place a request, our best in market professional staff will be at your service.Pest Control Caloundra provide 24 hours same day fast pest control services in Caloundra. Call 1800 339 712 to book professional pest controller. We offer the best services, for pest inspection, pest fumigation, extermination services and scientific suggestions for pest control at the best prices at Fast Pest Control Caboolture. Our Pest Management Program with pre and post-treatment surveys ensure effective treatment and zero reoccurrences. So just don’t wait when the panacea for pest problem is at your doorstep. Place a request, our best in market professional staff will be at your service. Call 1800339712 for same day service pest control. A Sunshine Coast based family-owned business offering pest control and termite inspections and treatments. We treat a range of pests including ants, cockroaches, spiders, rodents, bed bugs, fleas and more, as well as offering a number of termite management systems. Little Critters Pest control pride ourselves on great customer service and competitive prices. We are servicing the following areas: Caloundra, Noosa, Buderim, Mooloolaba, Maroochydore, Nambour, Bli Bli, Tewantin, Cooroy, Coolum, Redcliffe. The experienced team of Radar Pest Control has years of experience in dealing with various pests in the Sunshine Coast area. The company developed special techniques based on the local climate and made sure to use only top quality equipment to make your home and family safe from any pests. Give us a call today and we will arrive at the desired location as soon as possible. Your home is the center of your life. It should be where you feel the most comfortable. For most people, their home is their biggest investment, which means it's vital to keep the value as high as possible. Termites and other pests can lower the value and the curb appeal, especially in the case of a resale. 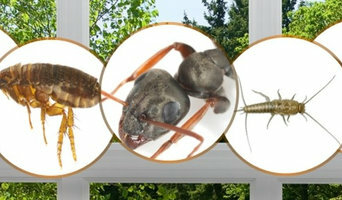 With spiders, ants, termites, and other pests here on the Sunshine Coast, pest control is more of a need than a want. Pests can be removed in a variety of ways, depending on the type and severity of the infestation. Professionals in Sunshine Coast, Queensland may use baits, some of which have a lethal effect and spread to the entire population, or dust, which can get into hard-to-reach places where pests breed. Other alternatives are liquid insecticide sprays and gels. Safety and effectiveness of advised methods are usually discussed during the initial pest inspection. Find pest control services in Sunshine Coast, Queensland on Houzz. Scroll through this page to find an exterminator, fumigator or termite treatment expert in your area. You can read reviews to see how other homeowners rate their work, and contact businesses directly.